Click on map to view at larger size. We've compiled a selection of answers to some of the questions we are often asked. If you have any further questions not covered here, do of course get in touch (see our Contact page). Please bear in mind that the Trustees are all Volunteers, and that paid administrative support is very part-time and a bit ad hoc - so while we do endeavour to get back to you promptly whenever possible, we are not always able to respond quickly. The reference list below shows what questions are answered on the sub-pages of this section. When is my subscription due? I've only just joined, will I have to pay again in April? What are the subscription rates? My husband and I are both over 60 – should we pay £25 or £24? When will the rates go up? Can I pay by Standing Order or by Direct Debit? Can I pay by Direct Credit or Online Banking? 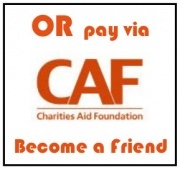 Can I pay by Charities Aid Foundation (CAF) voucher? My Family bought a "Gog" certificate - does that make us Members? How can I get a Car Park sticker? As an existing Friend/Member, when will I get a new Car Park sticker? I've received a Car Park sticker I don't need - what should I do? Can I get an extra Car Park sticker for my other car? I've lost my car sticker, can I get a replacement? Can I play ball games, or fly a kite, on Magog Down? Can I fly a drone on or around Magog Down? Can I hold an Event on Magog Down? 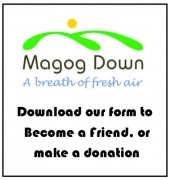 Can I hold workshops on Magog Down as part of my business? 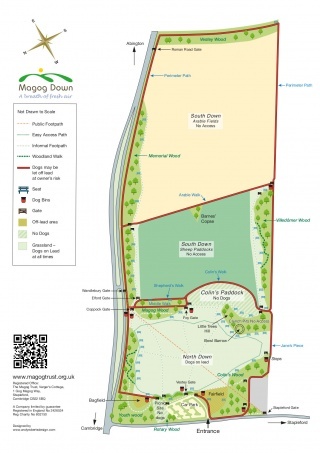 Can I sell my goods or charge for my services on Magog Down? Can I bring a group of students to study on Magog Down? Can I bring a minibus onto the site? Can I scatter my loved one’s ashes? Can I erect a plaque in memory of my loved one? Can I plant a commemorative tree on the Down? Can I sponsor a seat? It costs £15 per year for an Individual to be a Friend, or £25 for a Family subscription (entitled to two car parking stickers); there is a Concession rate of £12 for individuals over 60. There is more information on our Join Us page, or just click on the links below to sign up. Magog Down is managed largely by Volunteers: Trustees who give their time freely, and many others who help with various practical tasks, whether as a regular commitment or on an occasional basis. Nevertheless, annual upkeep costs around £50-60,000, only a small portion of which is met by government grants.